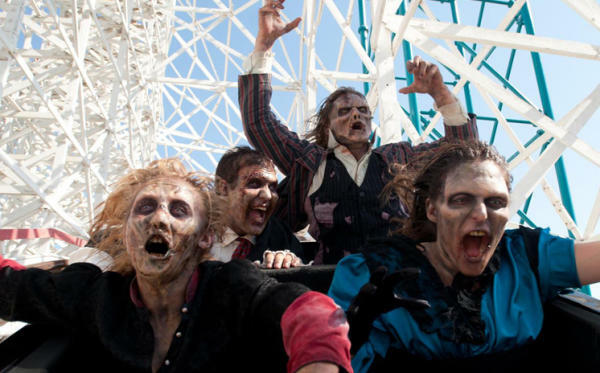 It's a spooky time of year as zombies and ghouls take over the park. Enjoy thrills and activities for the whole family throughout the day and come back for a truly frightening evening of fun after the sun goes down. Fright Fest offers a wide variety of places to get your scare on including several haunted houses and scare zones located throughout the park. The stuff of nightmares lurk around every corner as the dark of night washes over the park. The ghouls are set free for their daily hunting rituals. BEWARE! There is no place to hide!